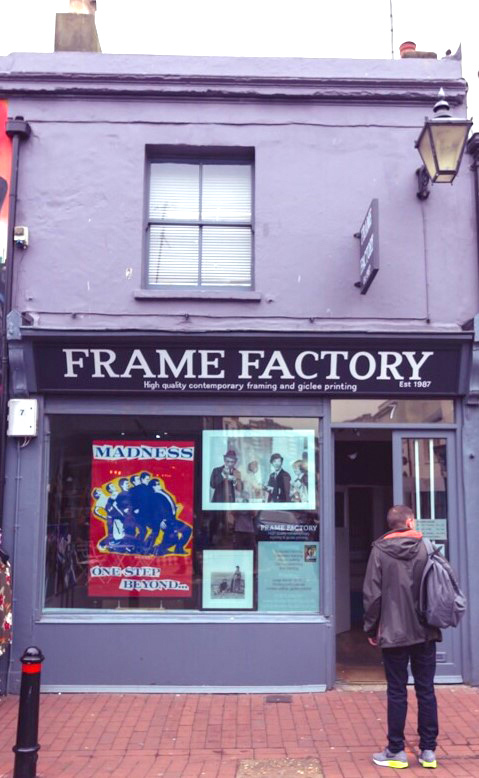 The Frame Factory in Brighton has been offering bespoke framing since 1987 serving artists, galleries and individuals with all their framing needs. In the mid noughties we added Giclee printing to our repertoire and produce limited edition prints for a growing number of Brighton artists. Our friendly, experienced and creative team are always on hand to advise you on all your framing and fine art printing needs. We also have a large selection of prints, photographs and original music posters for sale. We offer Gift Vouchers which have proved popular as wedding presents or gifts for those that have everything. Please ask for details. We can be found in the North Laine area of Brighton at 7 Sydney Street.